MOSCOW, October 15. /TASS/. By the end of 2018, inflation in Russia may exceed the forecast value and come close to 4%, according to the report of the Russian Accounts Chamber. "The forecast includes 3.4% consumer price growth in the current year against December 2017, which is 0.9 percentage points higher than last year’s level (2.5%). According to the Accounts Chamber, by the end of the year inflation may exceed the forecast value and come close to 4%," the report said. At the same time, according to the Accounts Chamber, under the influence of growth of the VAT rate from January 1, 2019, inflation in Russia by the end of 2019 will accelerate to 4.3%. In 2020, inflation will be 3.8%, and in 2021-2024 it will return to the target value of 4%, which corresponds to the inflation target of the Russian Central Bank. Keeping inflation near 4% in the next 3 year is realistic, although in 2019 there is a significant risk of exceeding the target level, according to the report. "According to the monetary policy, the weakening of the ruble and the forthcoming growth of the value-added tax led to increasing inflation expectations and demanded an upward revision of the inflation forecast," the report said. "In this situation, consolidating growth rate of consumer prices around 4% seems realistic for a three-year period considered in the monetary policy. However, in 2019 these reasons might bring significant risk of exceeding the target inflation level," the Accounts Chamber said. In September, the Central Bank raised the forecast for inflation in Russia in 2018 to 3.8-4.2% (the previous forecast amounted to 3.5-4%), in 2019 - to 5-5.5% (4-4,5%). 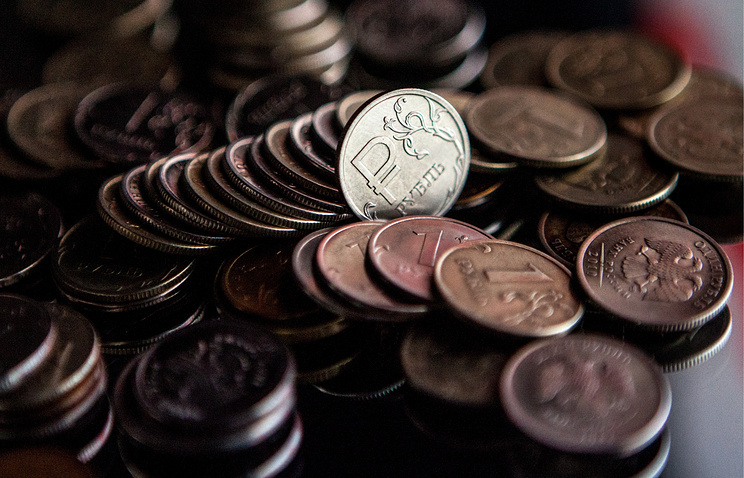 Inflation should return to the target 4% in the first half of 2020, when the effects of the ruble weakening and the VAT increase would be exhausted. According to the forecast of socio-economic development of the Russian Federation for 2019 and for the planned period of 2020 and 2021, inflation is forecast at 3.4% at the end of 2018, 4.3% at the end of 2019, 3.8% at the end of 2020, and 4% at the end of 2021. 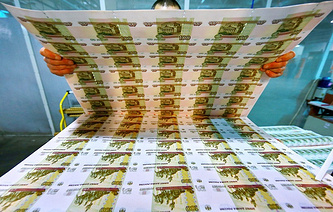 Growth rates of national GDP may not be above 2% per year on condition of forecast worsening of the foreign economic situation, the Russian Accounts Chamber said in its conclusion for the draft Russian budget in 2019-2021. 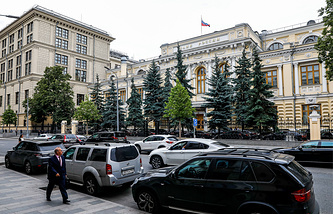 "The Accounts Chamber believes that risks of keeping GDP growth rates in 2020-2024 not above 2% will grow on condition of forecast worsening of the foreign economic situation (Urals oil prices drop by $6.2 per barrel (-10.3%) and the ruble rate weakening by 4.2 rubles per dollar (+6.6%)," the authority says. The Russian Ministry of Economic Development predicts slowdown in GDP growth rate to 1% in 2019 with subsequent recovery to 3% by 2024 in the worst case scenario, according to the socioeconomic development outlook posted by the Ministry in early October.